Major infrastructure projects that are being actioned across Melbourne will play an integral part in the city’s future liveability status. With various entities working to make Melbourne future-proof, current Victorian residents are seeing a development bid to improve economic development, transportation planning and urban residential planning. Future-proofing Melbourne will discussed at the 8th Annual Victorian Major Projects Conference 2017, on the 28th and 29th of November at the Melbourne Convention & Exhibition Centre. Helping to facilitate Melbourne’s Most Liveable City reputation is the Melbourne Quarter project. With construction beginning this year, Melbourne Quarter is expected to reach completion in the next six to eight years. 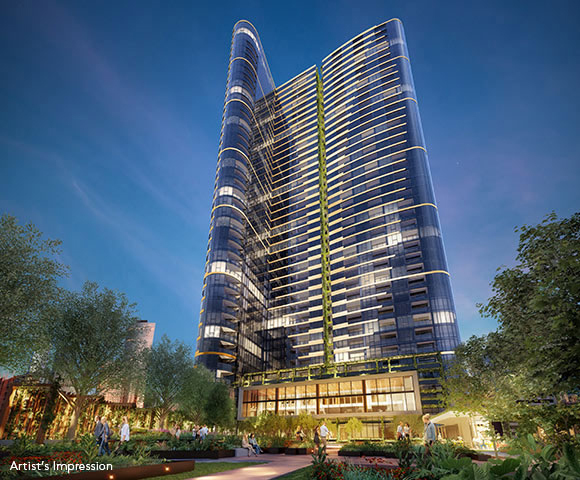 It will feature three towers encompassing commercial offices, residential apartments, retail stores and restaurants; a place to work, live and play, one of Melbourne’s unofficial mantras. At the Conference, Brain Herlihy, Lendlease Project Director, will give project updates and a working timeline. A renewal project that aims to further the work, live, play mantra is the Harbour Town Revitalisation Project. Alton Abrahams, Ashemorgan’s Principal, will discuss the revitalisation, which is one of Melbourne’s largest infrastructure projects to date. The redevelopment will also have a mix of sectors featuring residential, commercial, retail, dining and leisure. The current $12 million funds injection, for stages one and two, aims to attract a higher percentage of locals and tourists alike. Upon completion in 2025, the project will have seen over 80,000 construction workers, a $17.5 billion expenditure and have 20,000 residents. David Clements, Transport Victoria’s Program Director of Major Projects, will also be presenting at the Conference. Clements will be discussing the West Gate Tunnel Project. Scheduled to be completed in 2022, the $11 billion investment will provide a quicker travel time form the west to the CBD. It will also remove approximately 9000 trucks off residential roads. Following the theme of transportation planning will be Peter Wilkinson, Melbourne Metro Rail Authority’s Director of Delivery and Development. Estimated to be completed in 2026, the project is the largest public transport project in 35 years. Costing approximately $10.9 billion, the new rail tunnel will free up the City Loop, run more trains more often and streamline the commuter experience with five new underground stations with future-proof technology. The Victorian Major Projects Conference attracts over 200 senior-level executive delegates annually, and in 2017 will feature 15-plus infrastructure experts. Attendees will be able to gain unparalleled networking experiences all while learning about the major projects that will help facilitate Melbourne become future-proof.